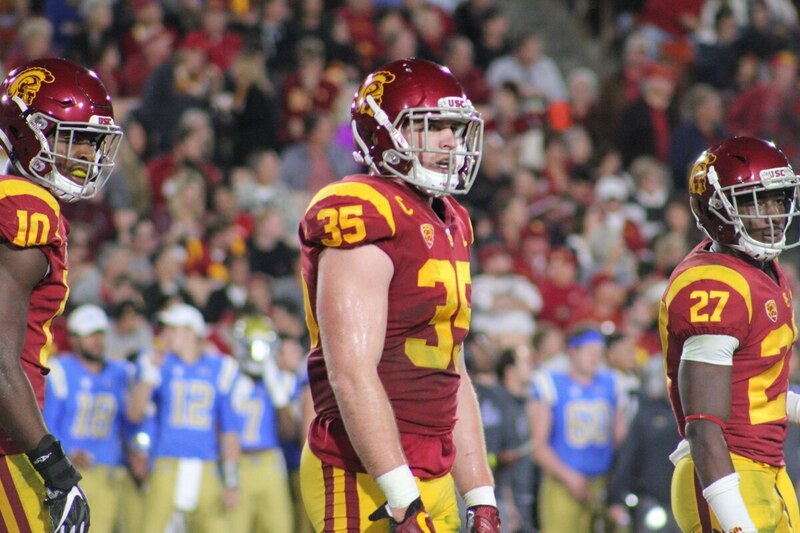 Cameron Smith and Porter Gustin lead group of former USC players to receive invites. Five USC football players have been invited to participate in the 2019 NFL Scouting Combine in Indianapolis, Ind. The combine, which takes place from Feb. 28 through March 3, allows draft hopefuls to cement their draft stock ahead of the NFL draft on April 25. Cameron Smith, Marvel Tell III, Iman Marshall, Porter Gustin and Chuma Edoga have all earned invites to the intensive four-day camp. Joining these five players will be an additional 300 players from universities all across the nation. On hand will be top executives, coaching staffs, medical personnel and player personnel from the league's 32 teams. Combine invites will participate in a variety of drills related to their position. Drills such as the 40-yard dash, shuttle run and vertical run are all mainstays along with other drills such as blocking and receiving exercises. Chuma Edoga, Offensive Tackle: Edoga appeared in 44 games for USC and was named to the All-Pac-12 Second Team in 2018. While participating in the 2019 Senior Bowl, Edoga earned Practice Player of the Week and impressed the coaching staff with his play. If drafted, Edoga can help aid in pass protection with his strong play. Cameron Smith, Linebacker: The 6-foot-2 defensive player played in a total of 47 games across his four-year career at USC. In total, Smith has 354 tackles with 208 of those being solo tackles. He has notched four interceptions, 18 passes deflected, one forced fumble and three fumble recoveries. Smith can easily reinforce a team's defensive corps while also serving as a team leader. Porter Gustin, Outside Linebacker: Despite only playing 10 games across the last two seasons due to various injuries, Gustin is looking to prove his durability at the Combine. Gustin has played in 37 games across his career and has a total of 137 tackles with 84 being solo tackles. Across his four years, Gustin has 21 sacks with a whopping 18 coming unassisted. Additionally, Gustin has five passes deflected and one fumble recovery. Gustin can potentially provide an immediate defensive threat to any team. Iman Marshall, Cornerback: The Long Beach native was consistently ranked among the top cornerbacks per Pro Football Focus, a professional football player analysis service, throughout the season. He is looking to cement his value and add to a team in need of secondary assistance. Across his four years at USC, Marshall appeared in a total of 50 games. In those 50 games, Marshall tallied 218 total tackles, with 147 being unassisted. He has six interceptions to his name, 42 passes deflected and one forced fumble. Marvell Tell III, Safety: Tell has appeared in 37 games across his four-year career at USC. In those four years, he tallied 221 total tackles, 13 passes deflected, five interceptions, a touchdown, a sack, one forced fumble, one fumble recovery, and one block. He was named All-Pac-12 First Team in 2017 and Second Team in 2018. Much like Marshall, Tell will look to provide secondary assistance to teams in need of a defensive back. These five Trojans will look to join the plethora of Trojans already in the NFL. Last season, USC had four players drafted in Sam Darnold, Ronald Jones II, Uchenna Nwosu and Rasheem Green. The full list of Trojans actively in the NFL can be found here. A full list of drafted Trojans can be found here. The draft hopefuls will participate in the scouting combine as well as a Pro Day showcase in Los Angeles on March 20. 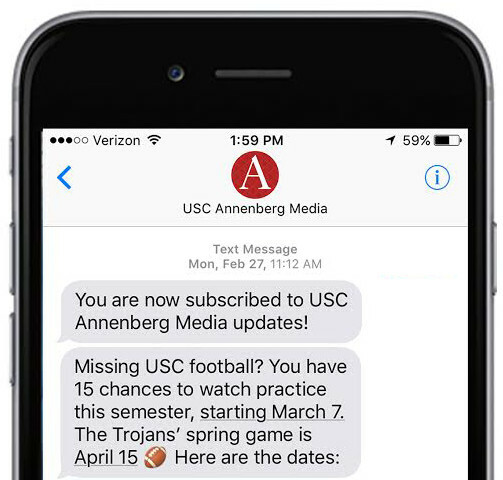 USC Annenberg Media will provide in-depth coverage of both events on social media as well as on our website.